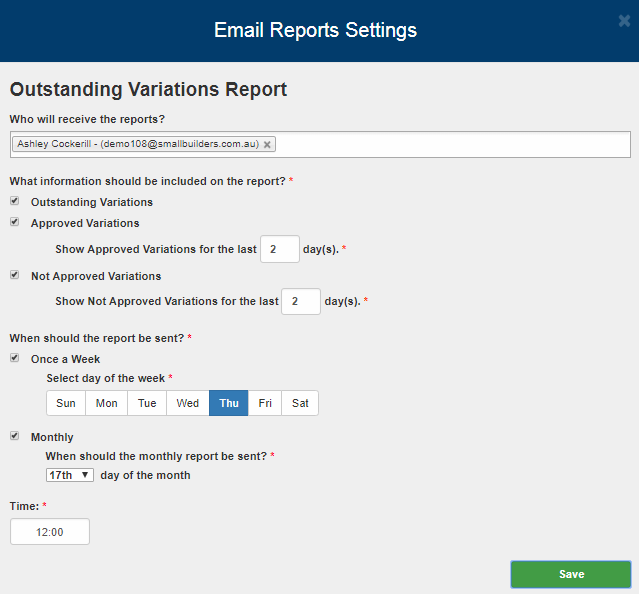 The Email Report settings allows you to modify who, what, and when you will want user(s) to receive the variation report in their email(s). 1. 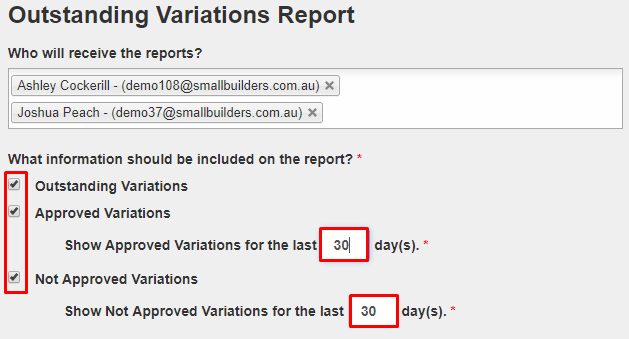 From the Variation Report page, click Email Reports. 2. A modal will be displayed that shows the settings. 3. Select users who will receive the reports. Note: No email will be sent if there are no selected users. 4. 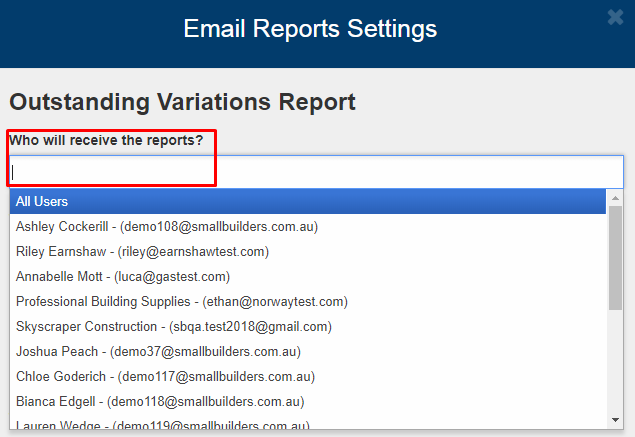 Tick the checkbox of the information you would like to be included on the report. 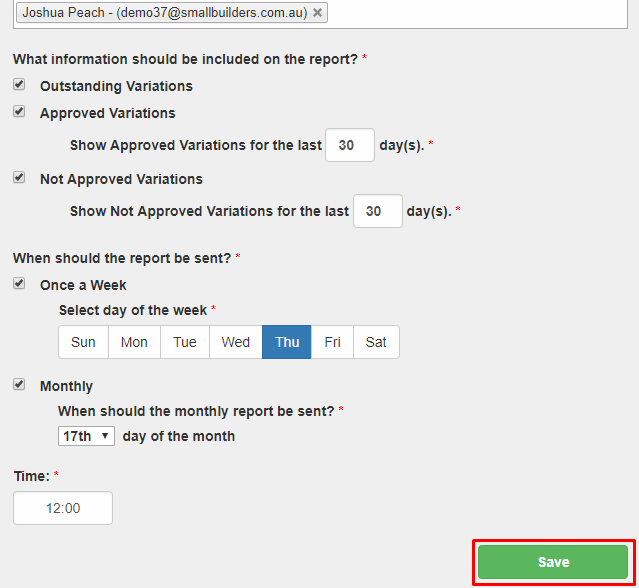 Ticking the checkbox will display additional settings where you can edit through the day(s) field. 5. 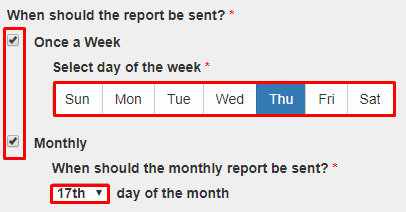 Select how often you would like to receive the report by ticking the checkbox of the respective information. Ticking the checkbox would display additional settings. You may only select one per option. 6. 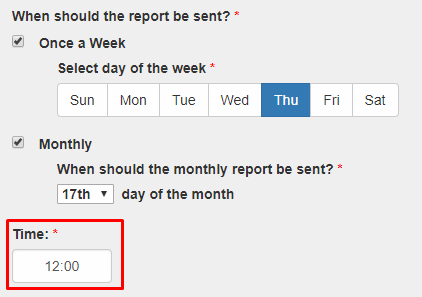 Input the exact Time you would like to receive the email report. Note: Fields with red asterisk are required.